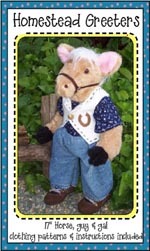 Unique stuffed animal sewing patterns to make plush bunnies, bears, cats, pigs, roosters, cows, horses, sheep, moose and more. 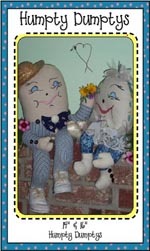 Hobby horse and humpty dumpty doll patterns too. 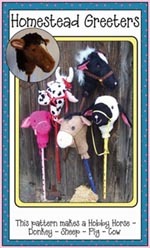 Create your own heirloom quality handmade toys and home decor. Clear, easy do-it-yourself instructions provided. Patterns are printed on heavyweight paper. 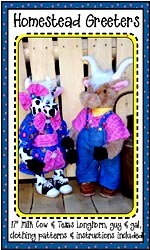 "Guy and gal" clothing patterns included where noted. 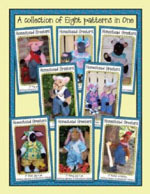 Extra large 54" stuffed animal patterns available. 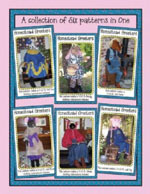 Small patterns delivered by mail or instant download. 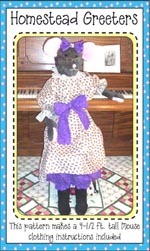 Can't wait to start sewing? 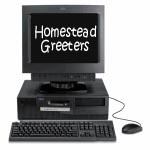 Instead of waiting for the post office to deliver your plush pattern by mail, you can now download selected Homestead Greeters™ designs directly to your computer and then print them yourself right away. 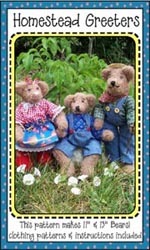 It's fast and easy... AND you save over 50% off our regular paper pattern prices. Try an epattern today! 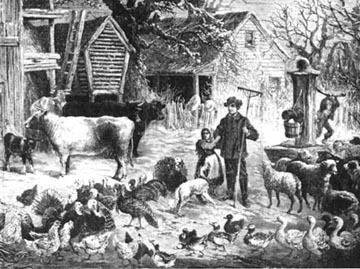 Settlers needed to be self-sufficient and raised animals for work, food and for trade. 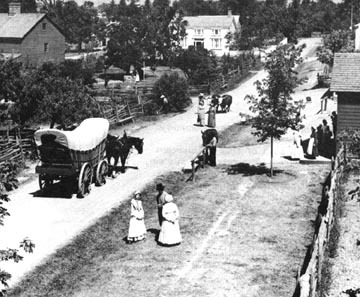 Horses provided transportation and field labor. Chickens were kept for eggs and meat. Cows provided milk for drinking and for making cheese and butter. Sheep provided wool for clothes and blankets. 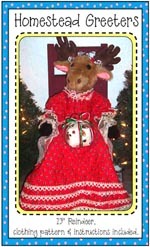 Animal fat was used to make candles for lighting the homestead. 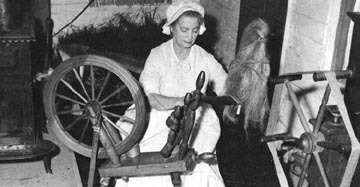 Before stores and factories, everything was made by hand by necessity. 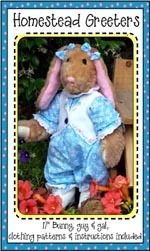 Homestead Greeters™ stuffed animal and country doll sewing patterns reflect these nostalgic ideals from a bygone era.